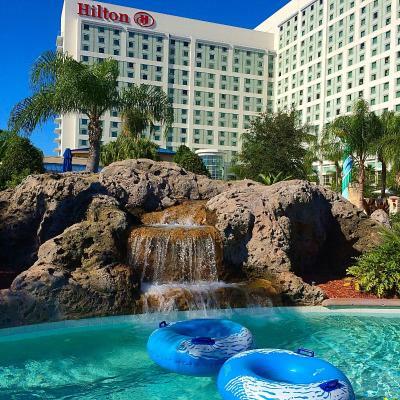 Lock in a great price for Hilton Orlando – rated 8.5 by recent guests! Employees in the Scratch Kitchen worked very hard to accommodate large crowds due to the dance competition participants . I loved everything! The atmosphere was amazing... the staff was incredible, the resort was magical. That constantly ask if you need anything and just make you feel very welcome. Definitely coming back! The hotel was very clean and everybody was very nice! The beds were awesome and comfortable plus the hotel is clean. A good vacation facility. 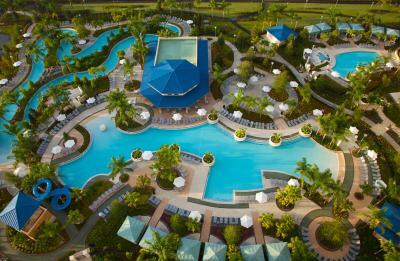 Lovely pool, slide,lazy river. The 24 market was a great extra. My husband and i really enjoyed our stay at the Hilton. The atmosphere was amazing and the customer service was awesome !! The bartenders keidy and Carla were soooo sweet and professional!!! They even had chocolate covered strawberries sent to our room as a sweet gesture!! I would definitely come back !!! And moulay , went out his way to fulfill our needs ! 10 out of 10!!!! Bar area not cozy or romantic. Not little books to go sit in. This is a conference center hotel for the most part. I was impressed by the service provided by everyone in the hotel, from valet to bell desk to front desk. Everyone was very attentive and always willing to assist. Lol.no the beds weren't like a cloud but they were ok. The staff were super courteous, friendly and concerned and catered to your need immediately. Throughout my stay I got regular text messages as checkup to see if I am doing well or satisfied. My favorite place is the hot tub... it is to live for!! Food at spencers is yummy . Yes! I will be back! Soon! All the staff that I had contact with was great. The breakfast was good . my question is it was included in my co workers but not mine. I book the same way as he did. 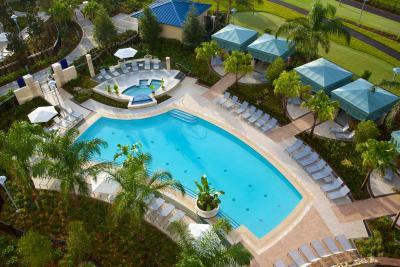 Hilton Orlando This rating is a reflection of how the property compares to the industry standard when it comes to price, facilities and services available. It's based on a self-evaluation by the property. Use this rating to help choose your stay! 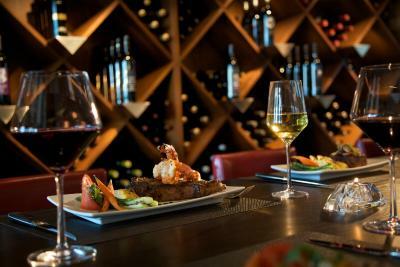 One of our top picks in Orlando.This Orlando luxury hotel is 1.8 mi from SeaWorld Orlando and 2.8 mi from the shops and restaurants of International Drive. 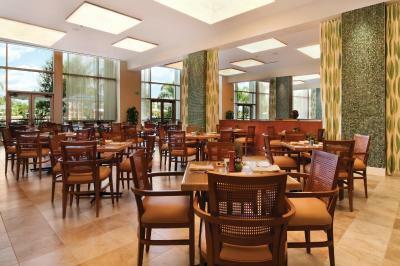 Hilton Orlando boasts on-site dining and a mini-golf course. The Orange County Convention Center is 1.6 mi from this Hilton. 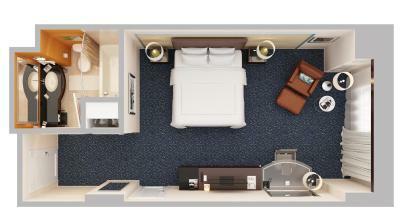 Each bright and contemporary guest room at Hilton Orlando is equipped with a 37-inch flat-screen TV and DVD player. A large work desk with an ergonomic chair is also provided. Free WiFi is available. 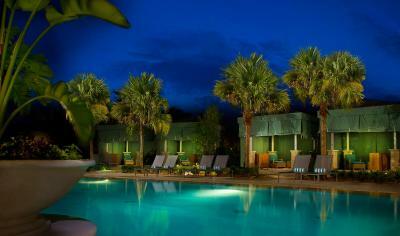 The 26 tropically landscaped acres of the Orlando Hilton feature 2 swimming pools and a lazy river. 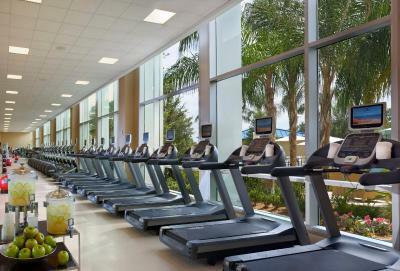 The on-site fitness centre has a jogging track and cardio machines. 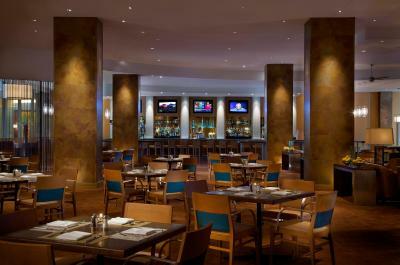 David's Club Bar & Grill serves contemporary American cuisine for dinner and offers a full-service bar. 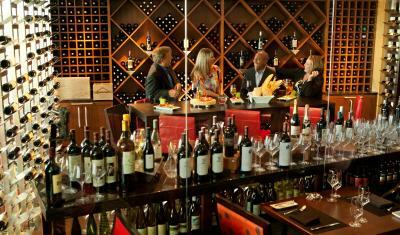 The European-style Marketplace is open for breakfast, lunch, and dinner and has a gelato bar. 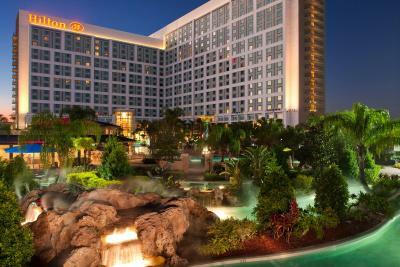 Universal Orlando is 10 minutes' drive from the Orlando hotel, and Walt Disney World is 9.3 mi away. When would you like to stay at Hilton Orlando? This room features a flat-screen TV, small refrigerator, alarm clock with MP3 connection, work desk, tea- and coffee-making facilities, and a bathroom with a tile shower and granite vanity. Public parking is available on site (reservation is not possible) and costs USD 24 per day. 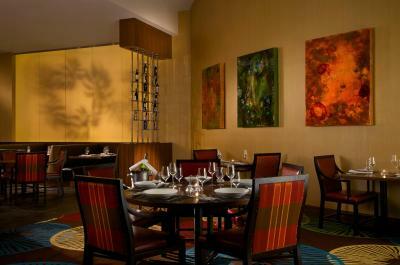 This room is located on an upper level and features a continental breakfast at The Bistro. 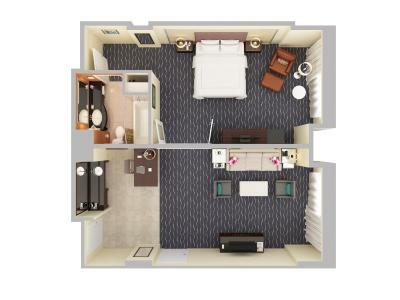 Guests will enjoy the convenience of a small refrigerator and a Cuisinart single-brew coffee maker. An ergonomic workstation and lounge chair are provided. A clock radio with an a MP3 player, programable safe, and hairdryer are included. This room features a flat-screen TV, small refrigerator, alarm clock with MP3 connection, work desk with ergonomic chair, tea- and coffee-making facilities, and a bathroom with a tile shower and granite vanity. This room overlooks the pool and features a flat-screen TV, small refrigerator, alarm clock with MP3 connection, work desk, tea- and coffee-making facilities, and a bathroom with a tile shower and granite vanity. This allergy-friendly room features improved air quality. A flat-screen TV, small refrigerator, alarm clock with MP3 connection, work desk, tea- and coffee-making facilities, and a bathroom with a tile shower and granite vanity are included. 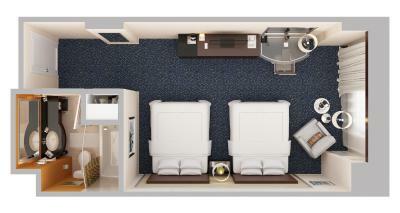 This handicap-accessible room features a flat-screen TV, small refrigerator, alarm clock with MP3 connection, work desk with ergonomic chair, tea- and coffee-making facilities, and a bathroom with a tile shower and granite vanity. This allergy-friendly room overlooks the pool and features improved air quality. A flat-screen TV, small refrigerator, alarm clock with MP3 connection, work desk, tea- and coffee-making facilities, and a bathroom with a tile shower and granite vanity are included. This handicap-accessible room features a flat-screen TV, small refrigerator, alarm clock with MP3 connection, work desk, tea- and coffee-making facilities, and a bathroom with a tile shower and granite vanity. This room is located on the executive floor and features a pool view, private lounge access, continental breakfast, and concierge service. A flat-screen TV, alarm clock with MP3 connection, and work desk are included in the room. 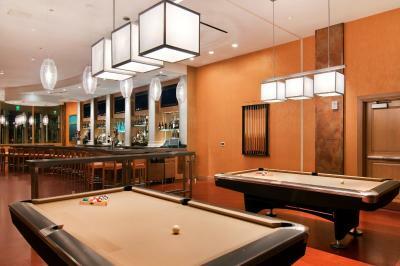 In addition to a pool view, this accessible room features a large LED HD TV, and a small refrigerator. This accessible room features a pool view, flat-screen TV, and small refrigerator. Coffee-making facilities are also included. This accessible room features a flat-screen TV, small refrigerator, and tea- and coffee-making facilities. This suite features French doors separating the living room from the bedroom. A wet bar and ergonomic workstation are included. This accessible room includes a flat-screen TV and an alarm clock. This accessible room has a flat-screen cable TV, desk, and small refrigerator. This suite features a sitting area with a sofa and a flat-screen TV. 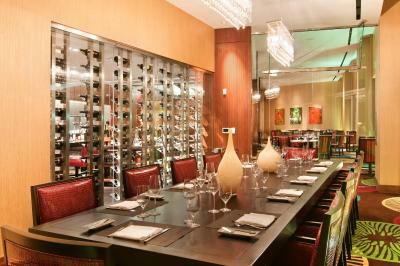 This room is located on an upper level and features a city view of the Orlando area. A continental breakfast at The Bistro is offered. 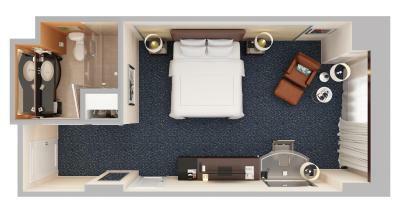 Guests will enjoy the convenience of a small refrigerator and a Cuisinart single-brew coffee maker. An ergonomic workstation and lounge chair are provided. A clock radio with an a MP3 player, programable safe, and a hairdryer are included. 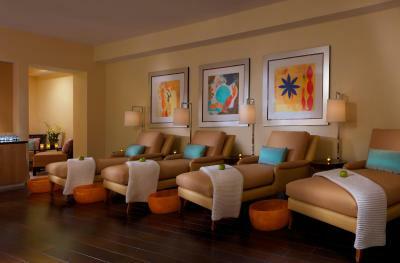 House Rules Hilton Orlando takes special requests – add in the next step! 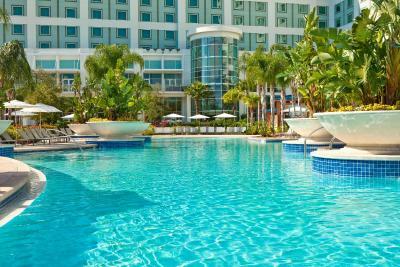 Hilton Orlando accepts these cards and reserves the right to temporarily hold an amount prior to arrival. 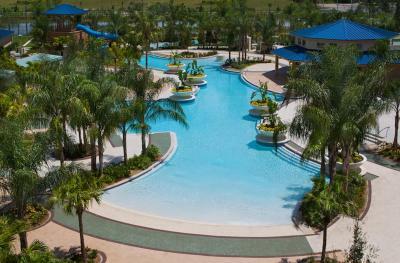 The pools, lazy river and cabana rentals are for registered guests only. 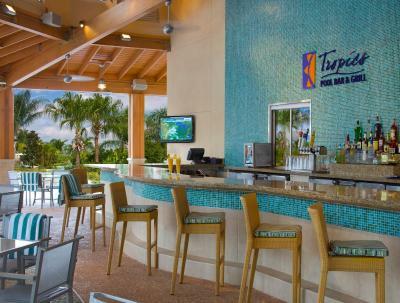 Proof of hotel stay may be requested to gain access or reserve a cabana. All hotel guests must wear shoes and proper attire in all public areas throughout the hotel.